Welcome to the World of Babywearing your Newborn Baby! 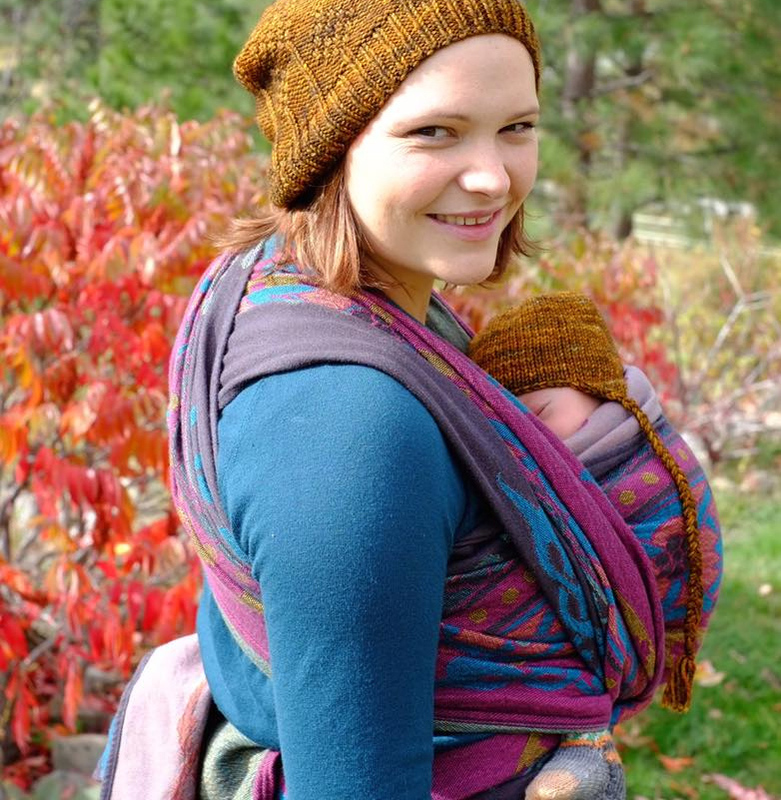 Babywearing has an incredible amount of benefits for both the Wearer and for the Baby. To start your journey into wearing your baby, educating yourself on safety should be the first place to start! If you have not already read our article on safety, please read all about Babywearing Safety here. Here are what we believe to be the most important guidelines when wearing your little one. Baby’s Chin Up (off of chest) and Face in View at all Times. Proper positioning in your Didymos carrier is the key to safe and comfortable wearing. Babywearing should mimic holding your baby upright in your arms. If new to babywearing, we ask new wearers to pick up their baby and observe baby’s natural position both while being lifted and once settled against the wearer’s chest, upright in their arms. Note baby’s natural spine, knee and hip position. With the right baby carrier, a baby will be supported in this position. Babies reside in their mother’s womb for up to nine months (or slightly longer), curled up in a fetal/fetal tuck position. The natural curvature of the spine in this position is shaped as a “C”, and knees and hips are flexed. This position reduces pressure on the spine and hips, and is the optimal position for spine and hip development. Once baby is born, it will take months for baby’s spine to develop secondary curves and for the muscles to grow and strengthen, and thereby for baby’s natural position to uncurl. 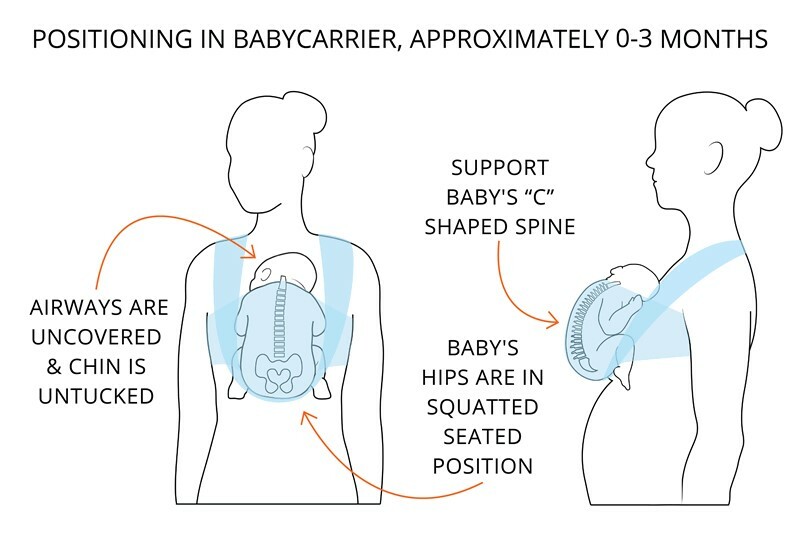 Therefore, it is important to use a carrier that will not flatten or straighten baby’s spine, forcing it into any unnatural position, but rather support baby’s natural C-shaped spine (also commonly referred to as a “J “position especially once the baby is a few weeks old where they curl their body less). Improper positioning can happen in carriers that are too tight and too structured which force baby’s spine straight, or in carriers that are too loose and not supportive enough, causing baby to slump. This is why DIDYMOS baby carriers are our carrier of choice! 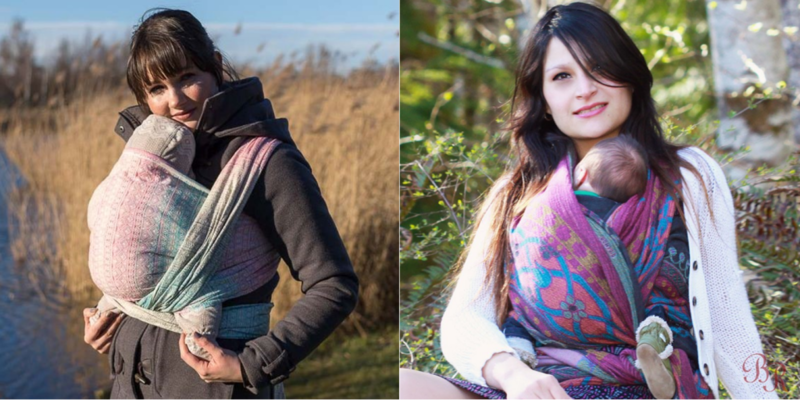 Didymos Woven and Jersey Wraps, DidySling Ring Slings, the Mei Tai / Meh-Dai (DidyTai) and the NEW DidyKlick Soft-Structured Carrier all allow for baby’s natural positioning. 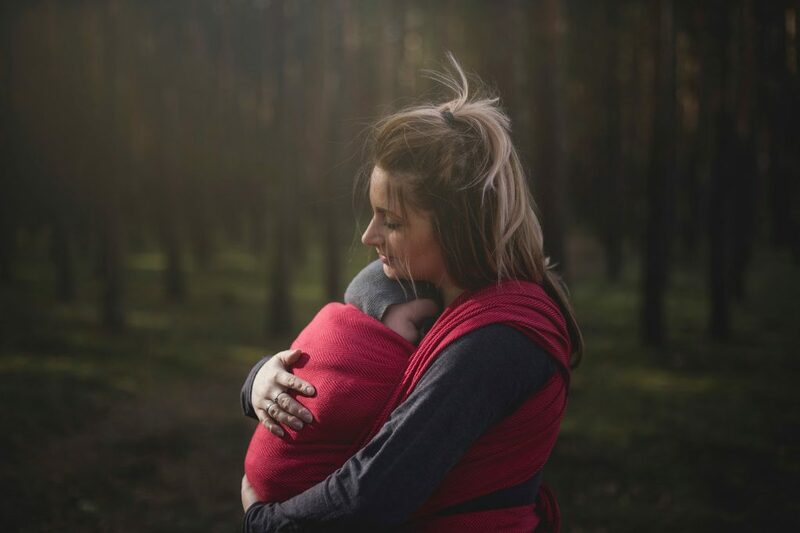 DIDYMOS baby carriers are all made from fabrics that are purposefully woven to conform and mould to both the baby’s and the wearer’s natural body shape and size, and are fully adjustable every time they are put on, ensuring a perfect fit each time. A newborn’s natural physiological instinct is the fetal tuck position. At this age, their legs naturally spread as wide as their pelvis, and their legs are flexed with knees higher than bum; the spine is curled gently in a C-shape. As babies grow and develop, their hips will naturally open and their hip/leg position with change to the more typical spread-squat position, also known as the “M” position. This is where the knees are higher than the bum and spread outwards, wider than the pelvis. This “M” position is still described as the seat position with a newborn but the “spread” is much tighter with a newborn than with an older baby. When wearing your newborn baby, or even carrying your baby, do not force or hyper-extend baby’s knees and hips. If the position does not come naturally, it is probably not the right position for your baby at that time. A general rule of thumb at this age is that babies knees are usually inline with their pelvis. Remember to follow your baby’s cues by observing their natural position. It is also important to remember that all babies are different therefore natural positions for each baby do vary slightly. With a well-designed baby carrier, little adjustments can be made to accommodate and support these differences. A properly fitting baby carrier will support baby from knee to knee which will then ensure proper leg positioning while in the baby carrier. Feet Inside or Outside the Carrier? Some people prefer to wear their newborns with their feet inside the carrier. There is much debate about whether to babywear with a newborn baby’s legs in or legs out of the carrier. We recommend that as long as you are carrying your baby safely (please see our section on safety), one can follow baby’s cues. Some babies tend to relax more with their legs curled up in a froggy position or tucked high and tight inside the fabric. If this is the preference, no weight should bear down on the baby’s feet. The weight supported by the carrier should be in the “seat” of the carrier, so in other words, supporting baby’s bum. If baby has no preference, then practice with both options and go with what feels more natural and comfortable for you at this stage. If legs are out, the seat of the carrier should support the bum and legs, with the fabric spread from knee to knee on baby. With any carrier, it is important that a newborn baby with limited neck or head control be fully supported through their back, neck and head. Therefore, the baby carrier should go up to the base of baby’s neck and baby’s head resting on the wearer’s chest. The baby should be high enough for the wearer to be able to kiss the top of baby’s head. The fabric at the top of the carrier should be snug enough so that it supports baby’s neck. A bit more information about spine development in the young child can be found here: Basics of Baby’s Anatomy. – Aids in baby’s cognitive development. As baby develops and grows, they are able to see the world at the wearers level, able to observe and be a part of the wearer’s verbal and physical interactions. Upright carrying ultimately optimizes the physical, emotional and intellectual growth of your baby and is optimally achieved in all DIDYMOS baby carriers. Baby should always be high and tight in a baby carrier. A general rule of thumb should be that you can kiss the top of baby’s head easily in the carrier without having to bend down. Baby should be snug enough in the carrier that if you move position or bend over, baby should not slump or fall to the side nor should any gaps in the fabric be present. Keeping baby high, tight and close will also ensure a comfortable wearing experience for the wearer as the wearer’s centre of gravity will be more balanced and the weight of the baby will be evenly distributed on the wearer. Baby’s face should always be visible with chin lifted off of his/her chest. This ensures that airways do not become pinched or obstructed. A baby’s airway is as thin as a straw and when the chin drops to the chest, the airway may constrict. A general rule of thumb is that you should be able to place two fingers between baby’s chin and their chest (ie. chin should not be resting on their chest). Baby’s face should always be visible with chin lifted off of his/her chest. When being worn, baby’s face should be resting against the chest of the wearer and not buried into the chest. In order to maintain proper airflow, nothing should be in front of baby’s face. The fabric of the carrier should only reach the base of baby’s neck or to the bottom of baby’s ears without ever covering baby’s face. Pick a time when your baby is content and you are feeling relaxed and calm. Baby often senses the anxiety of the wearer. Take a deep breath and be proud you want to learn how to wear your baby! If you find that your baby is becoming impatient while putting on your carrier, use movement to put baby at ease. Rock, sway, talk or sing to your baby. Finish your carry and go for a short walk, or continue to bounce and sway. Movement will help your baby get accustomed to being worn. Every person has their own learning curve for learning how to put on a Didymos Wrap, DidySling, DidyTai Mei Tai/Meh-Dai or DidyKlick Soft-Structured Carrier. It may take one try or it may take several tries to click. Following the safety guidelines is essential. Otherwise, follow the basic instructions of a carry and make it comfortable for you and baby! Besides safety, there are no hard and fast rules! Practice! You may find it easier to practice with a doll or a bag of rice, until you are more confident in your wrapping skills. Learning how the fabric feels and flows in a carry and familiarising oneself with the process often gives new wearers the self-assurance they need. Some people find it useful to practice in front of a mirror. See what you are doing and visually connect the movements is a fantastic learning tool! Adjusting and tightening is essential for achieving a secure and comfortable carry. Ensure all slack is tightened out of your carry before tying off. When done correctly, there should be no gapping or sagging and the carry should feel snug with no pulling on your shoulders. Spread the fabric of the carrier. When putting on your carrier, check to make sure that the fabric did not twist across the back or on the front. The fabric should lay flat on each pass. Twists can produce pressure points. They may not be noticed right away, but after a while they can make a carry less comfortable. High & Tight! This is not only a safety guideline but also one for comfort! When baby is high and tight, you will be less likely to experience any pulling in the shoulders or back pain. Baby’s weight will be evenly distributed and the large muscles of your back will do much of the work. Wearing your baby should feel like an extension of your own body. Bend the knees! With most carries, there will be bending involved. Try to bend with the knees as opposed to the waist or mid-back which compresses the spine and can hurt your back! Practice good posture! Spine should be in neutral position with ribs above hips and pelvis. Bad posture can result in body pain whether you are wearing your baby or not. Always remember neutral position! The good thing about babywearing is that it often forces us to practice good posture. However, there are wearers that over-extend themselves. When carrying on the front, avoid sticking out your stomach and leaning back. When carrying on the back, avoid hunching over or pushing out your bum. These poor postures will cause core muscle imbalance and eventual pain in areas. When selecting a carrier, choose a pattern and colour combination that you are most drawn to. What you like the most visually, will be a carrier you will want to wear more! Think of your carrier as an extension of your wardrobe rather than matching up to gender or other criteria that would not be a consideration when choosing clothing to wear. Be Smart & Be Safe! Use Common sense and always follow the manufacturer instructions and safety guidelines. 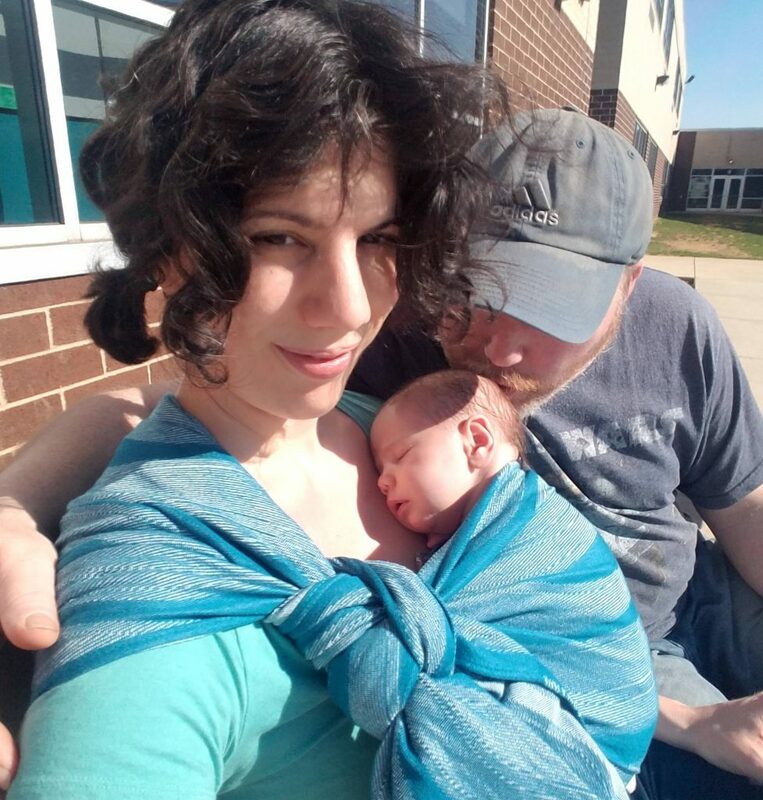 As babywearing educators, it really struck us that learning to babywear with a newborn is actually the most challenging. New parents are often new to handling little babies even in arms so adding a baby carrier to the equation does require some helpful tips. Newborns are like a little sack of potatoes but these helpful tips can make new wearers feel more comfortable with handling their baby all while learning how to wear their baby. Remember that one hand is always on baby while the opposite hand handles the baby carrier. Switch hands as many times as needed while adjusting and tightening the carrier. Use your chin to pin the fabric or knees to hold taut a tightened side of the carrier while tightening the opposite side. Try putting your Didymos carrier on while sitting down or while you are on your knees on a soft surface. This often helps first time wearers feel more secure and confident while learning. When using a DidySling or a Didymos Wrap in a Front Wrap Cross Carry, create the front pocket just big enough to get baby in so there is less adjusting and tightening needed once baby is positioned in the pocket. This equates to less time adjusting and executing the carry! When putting baby in the Didymos carrier, lean back ever so slightly with knees slightly bent so balancing your newborn baby is easier. Newborns tend to be “floppy”. Leaning back ever so slightly allows your upper body to assist your hand in balancing baby while maneuvering baby into the carrier. Alternatively, use the leverage of your shoulder to balance baby and start with baby in a high burp position and slowly guide baby down into the carrier. When using a DidySling or a Didymos Wrap in a Front Wrap Cross Carry, bunch the pocket into a “cummerbund” or “band” instead of a wide spread pocket. Pulling up fabric on to baby rather than putting baby down into the fabric is sometimes easier for some people. Guide baby’s feet into the band of pocket by inserting your hand up through the bottom of the pocket and reaching upwards to grasp and guide baby’s feet. Bring the fabric up baby’s body rather than sliding the fabric down. This prevents baby’s feet getting tangled up in the fabric which often occurs when putting baby’s feet down into a wide spread pocket. It also helps with ensuring the excess fabric is at baby’s bum and knees versus the neck and upper body. Light-weight carriers are usually the best when learning to babywear (and especially with newborns) as they tend to be a bit more mouldable and therefore easier to work with. In addition, (this can be a personal preference but in our experience, we have found…) all cotton wraps are generally preferred for the new wearer as cotton fabrics tends to be easier to work with initially. Sometimes blends require a “breaking in” period to soften the fabric so that it is soft and mouldable. The standard width of a woven wrap (68 cm) is versatile for newborn stage all the way to preschool age, but sometimes it may even be too much fabric for a very small newborn. If this is the case, the excess fabric can be brought down to baby’s bum and the knee-to-knee area. In the case of thick wraps, there may end up being too much bulk at baby’s seat which is why lighter weight wraps are sometimes preferred, to alleviate the extra bulk. If you do have a thicker wrap or you are just finding there is too much bulk/fabric at your baby’s bum and legs when carrying in a Front Wrap Cross Carry, executing a twist of the fabric under baby’s bum (called a Lexi Twist) will bring the fabric away from baby’s bum and legs and avoid the need to pass the fabric over and under baby’s little legs. When learning to wrap in the Front Wrap Cross Carry, spreading the passes/shoulder straps in the front, across baby’s back, provides extra security if the top rail (the fabric that it at baby’s neck) is not 100% snug. Getting that top rail nice and tight will happen but when learning, or if the fabric is grippy or stiff, it may take a bit of practice. We always recommend spreading the passes in a jersey wrap for this reason, to provide optimal support for baby’s upper body. 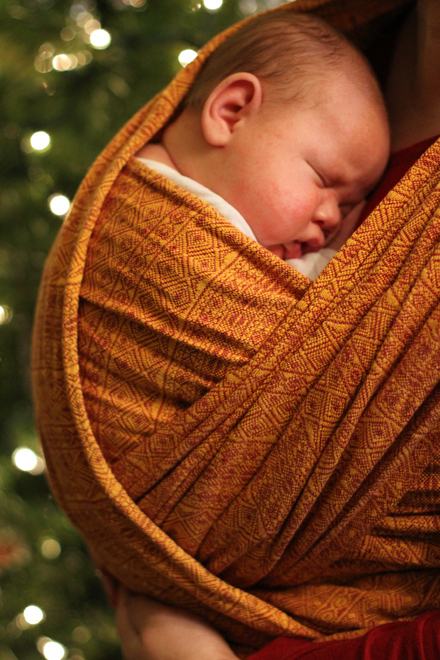 In a woven wrap, with time, the top rail should be nice and snug and you can switch to having the passes bunched at the sides of baby’s body in order to put unnecessary pressure on baby’s spine. This can also be done with the Didymos Mei Tai. Spread the passes over baby’s body to add extra fabric for warmth or support or have the passes bunched for a single layer carry and thus less fabric which can be great for warm weather wearing! When learning to wrap, think of tightening the fabric in thirds (along one edge of the wrap, then the middle section, then the second edge) instead of “strand by strand”. Tightening the top rail, along the edge that comes underneath baby’s neck, is the most important. Strand by strand tightening can come later, which is a more thorough tightening practice. When wearing a Didymos carrier such as a Wrap or Mei Tai / Meh-Dai, knot the tails in the front, rather than at your back. Most newborns fall asleep frequently and with a knot tied at your front, it will be more comfortable is you wish to sit down and relax. When wearing a Didysling, use the tail of the sling, or roll up a thin burp cloth, to tuck under the top rail. This will snug up a loose top rail as well as provide additional support and stability to a newborn’s floppy head. It also provides a nice pillow for baby! Just be sure to not put too pressure at baby’s neck. When wearing a DidySling ring sling, do not over-tighten the bottom rail where baby’s bum sits. This rail should be snug but not overly tight. If too tight, the fabric could roll upwards and baby’s seat in the sling can disappear. The fabric should run from the back of baby’s knee to the other knee with baby’s knees positioned higher than bum. It should look like baby is sitting in a hammock seat. Baby will be nice and secure in a ring sling carry when the top rail and body section are fully tightened, with the botton being snug but not tight. One of the most common concerns we have from new wearers is that they feel baby is not secure enough in the sling. In our experience, a bit of a deeper seat (where baby’s bum sinks lower into the fabric) can make wearers feel more secure. A tip we provide is, while holding baby, to loosen the sling a tiny bit, lean forward (all the while holding baby with hand) and pull up the extra fabric at baby’s seat between you and baby. Stand up and tighten! Baby should be in a deeper seat now with a more pronounced “M” shape (knees higher than bum). If your baby is a leg straightener and does not like to curl his/her legs up, or if you feel baby’s seat is not deep enough, tilt baby’s pelvis inwards and touch the bottom of baby’s feet. Gently push upwards to encourage the baby’s legs to flex upwards where knees are higher than bum. Check out our Getting Started with Babywearing articles where we break down each style of carrier with informative articles. In addition, your baby carrier should also come with a booklet of instructions. 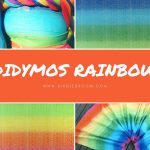 However, for quick reference, we have included here a newborn guide to babywearing for each type of Didymos carrier. When using a Didymos Wrap, DidySling or Mei Tai/Meh-Dai with a newborn, we always recommend front carries until baby has neck control. Once baby has neck control (usually at 4-6 months), you may wish to explore hip carries. Once baby has neck, head AND torso control (usually at 6-8 months), you may wish to explore back carries. However, many wearers prefer to stick with front carries with their baby from newborn to toddler, and even preschool ages. It is up to you and a personal choice! When starting out with a Baby Wrap, we recommend the Front Wrap Cross Carry (FWCC) for all ages of babies. The FWCC can be done with your standard long woven wrap size which generally runs size 5-7 depending on your size. The petite wearer may use a size 4 while the Plus-Size/Broad/Tall wearer may prefer a size 8. 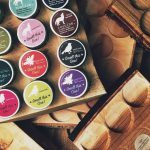 If you are not sure of the size you would need, please check out our sizing article here! The FWCC is a popular choice for learning how to wrap as it has one of the easiest learning curves. 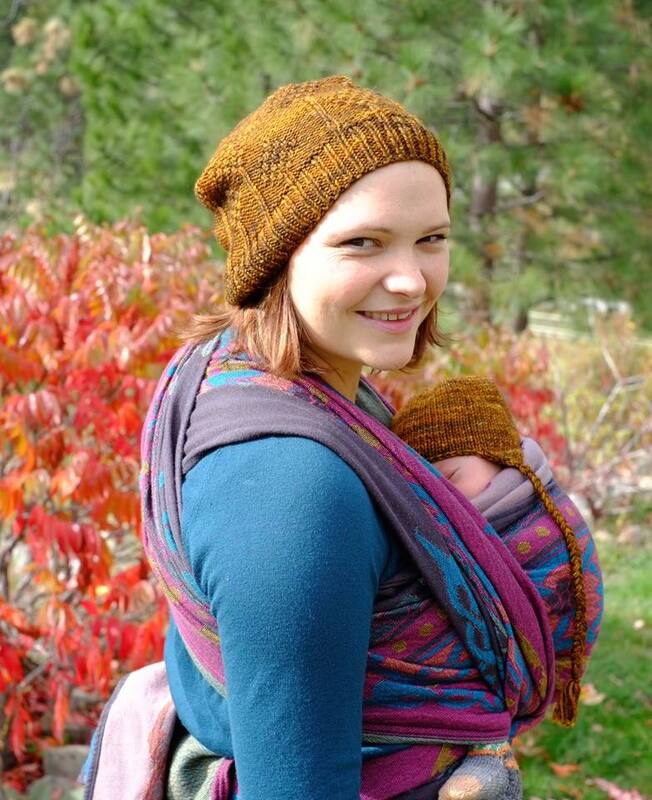 This carry teaches all of the essential skills you will need to know for how to wear your baby in a woven wrap. The FWCC is a versatile carry that can be used from newborn to preschool age. It is great for all weather conditions as it can be a single layer carry when bunching the fabric to the sides of baby or it can be a multi-layer carry when spreading the passes. Most people feel very secure with this carry as it is a “cross carry” which means that, in addition to the pouch or pocket that baby is sitting in, there is also a “X” under baby’s bum which provides a very solid hold. Babywearing Faith gives a lovely breakdown of wearing her newborn in a FWCC using a Didymos Emerald Prima size 6. Hedwych from Wrap You in Love gives a fantastic and easy-to-follow tutorial on the FWCC featuring the Didymos Lisca Azzurro in size 6 with her older baby. Her execution and demonstration on tightening and adjusting are terrific! We have an impressive range of patterns and colours! A DidySling is a great option for wearing your newborn. All DidySlings are made from Didymos woven wrap fabric and have a tapered end which allows the fabric to hang beautifully. The DidySling is a very elegant carrier, and practical,too! It is a carrier where baby can easily be popped in and taken out by simply adjusting the fabric that is held in place by the rings. So simple yet so functional! Once the sling is threaded, it can easily be slipped off your body when not using the carrier, or it can be kept on just in case it is needed! It is a great tool to have when travelling as it can be worn over your clothes for easy access or it can be folded up quite small to fit into a bag or purse. All DidySlings use Sling Rings (made in the USA) and are tested up to a carrying weight of 35 lbs. 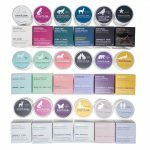 They can therefore be used from newborns to toddler age. Great for those quick up and downs toddlers need! When wearing a newborn in a DidySling, we recommend using the front carry until baby has hit their milestone required for hip carrying. The North East Sling Library has a great instructional video on how to thread and wear a newborn in a ring sling featuring the beautiful Silver Waves DidySling. Hedwych from Wrap You in Love shows Ring Sling Basics in her video. She is spectacular with her adjusting techniques. A Didymos Mei Tai/Meh-Dai is a great option for people that would like a two shouldered carrier with some structure, who like the feel of a woven wraps but do not like the buckles. The Didymos Mei Tai/Meh-Dai (DidyTai) has a cinchable waist that can be adjusted to fit newborn babies right up to toddlers, and even preschoolers! There is no bulky or stiff waist digging into your body which many buckle carriers these days have. 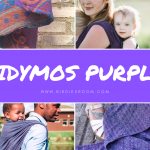 The fabric is made from Didymos woven wrap fabric and are exceptionally soft and mouldable, to fit all shapes and sizes. There are further adjustments that can be made to when putting on the carrier to make fully customise the fit for newborns and for bigger babies. It can be worn on the front, hip and back but of course with a newborn, we always recommend wearing on the front until baby has hit their milestones required for hip and back carrying. 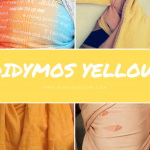 We recommend a terrific video below by a fantastic North American retailer, Wild Was Mama, on How to Use the Didymos Mei Tai/Meh-Dai. Did you know that all DIDYMOS baby carriers are made from the highest quality, 100% GOTS-certified organic cotton?!? AND did you also know that all DIDYMOS baby carriers come backed with a 3-year warranty?!? Impressive indeed!